Anyone who has seen their fair share of Korean historical dramas would know that these dramas usually revolve around a cursed prince or princess or twins who will be cast away to live in exile until their eventual return as an adult. Shine or Go Crazy is one such k-drama where Prince Wang So (Jang Hyuk) is born during the night when the Star of War was at its brightest. His birth precludes him from having the privileged life that all royalties are accustomed to and for fear that he will bring forth more chaos and destruction to the palace, Wang So is sent to the mountains to fend for himself. Years later, the King sends for Wang So reaching out for his help in making a great Goryeo empire that is free from the control of the nobles. The King has found a way to change Wang So's fate via an arranged marriage with a lady born of the North Star. Wang So adamantly refuses and his pain from being abandoned all those years come pouring out in a wave of resentment directed at his father. Their meeting is disrupted by a group of assassins and despite everything that has been said, Wang So readily comes to his father's defense. The King narrowly escapes with just a scratch, yet Wang So earns a slap from his mother, the Queen who wants him immediately out of her sight. Determined to track down the perpetrators, Wang So leaves peacefully. Wang So and the King's faithful guard follow the group of assassins all the way to China where through an unexpected chain of events, Wang So finds himself in a contract marriage with Shin Yool, a Korean merchant living in China who was desperate to fake a marriage in order to escape an aging general's marriage proposal. First Impressions: I'm beginning to understand the dynamics within the royal family. The benevolent father king is actually good despite having sent his son away and the mother queen is irrationally misguided for pushing all the blame towards her younger son Wang So. I almost gave up watching halfway through the episode. 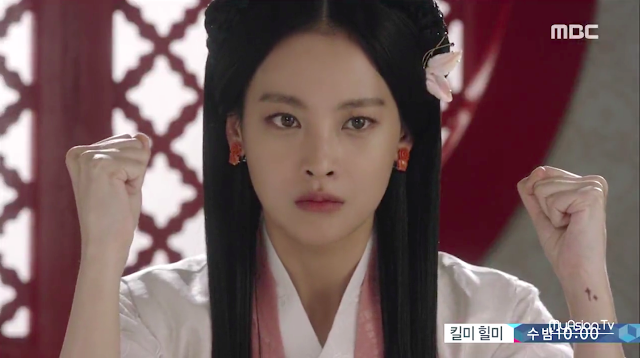 The fight scenes were subpar and the plot a repeat of every other period drama out there and don't get me started on Oh Yeon Seo's atrocious wig. 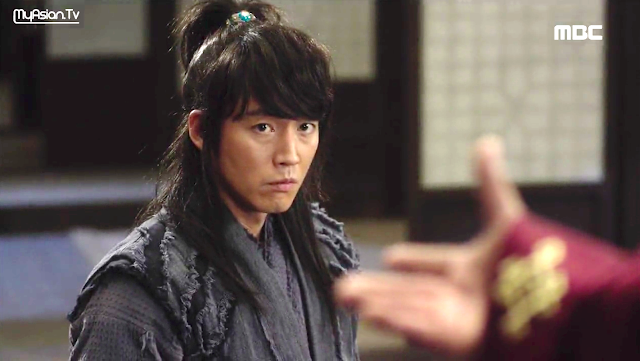 As for the acting, I notice historical dramas tend to be different in the sense that it requires actors to over-enunciate their lines but Jang Hyuk was emoting on a whole other level that was way too exaggerated for my taste, which is weird given that I absolutely loved him in Volcano High and many other dramas. Nevertheless, I powered through and I'm so glad I did. The latter half of the episode was devoid of drama and it showed me what this k-drama can be, which I think is better off focusing on the romance between Shin Yool and Wang So. Their meeting was quick - he was put in a bag and voila, their married. 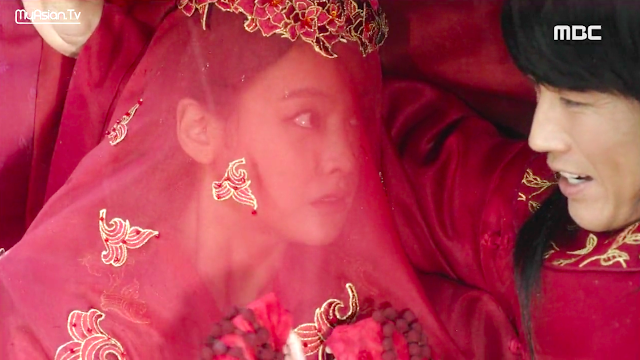 Oh Yeon Seo's character as Shin Yool is quick-witted, capable and looks like she's pretty lucky herself, which is just the perfect balance needed to pair up with Wang So's unlucky streak and his uncouth, foul-tempered ways. 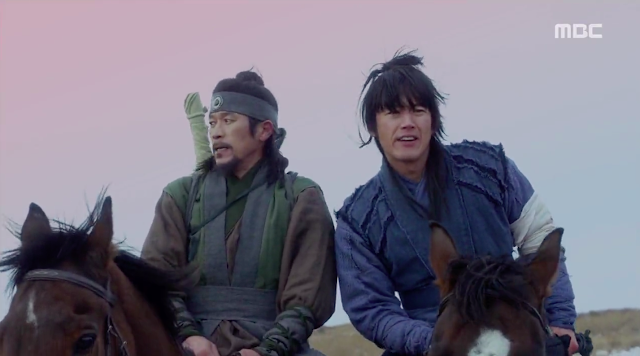 And Wang So's infectious laughter, it bothered me so much but now it's beginning to grow on me. For synopsis, cast and other info, see 2013-2015 k-drama recommendations. Haha thank you for your review. I was reading through this believing I recommended something you did not enjoy at all.